‘There is less and less living room / and where are my loved ones?’ In her fiercely political poem Moving towards Home, June Jordan registers that liberation begins by nurturing communities of affect. Over three afternoons of conversations and performances, FORUM will strive to make more living room by exploring the political potential of intimacy. We will honour black feminist traditions and listen to the voices that have called upon us to free ourselves. We will dwell on the politics of African and diasporic bodies, as it finds expression in practices of language, ritual, protest, craft and care. Find out more about Living Room here. LYLE ASHTON HARRIS (artist) discusses intimacy, collective memory, and photography with EKOW ESHUN (writer and curator). Harris’s archive of 35 mm Ektachrome images registers ephemeral moments and emblematic figures from the late 1980S and early 1990s against a backdrop of seismic shifts in the art world, the emergence of multiculturalism, the second wave of AIDS activism, and incipient globalization. Harris and Eshun will discuss the archive and other projects in relation to the “unfinished business” of mourning in the African Diaspora. Can resistance be choreographed? 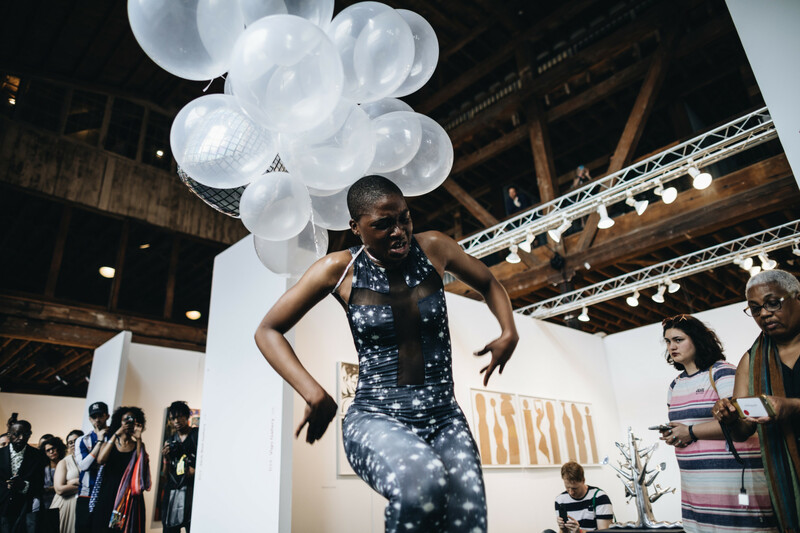 Pushit!, a site-responsive performance by NIC Kay, is a meditation on emotional labour and the impossibility of the stage as a place of freedom for the Black performer. This work is part of a larger set of exercises in getting well soon. The performance will be followed by a discussion with OMAR BERRADA (curator). Can healing work be channelled through artistic articulations of intimacy? 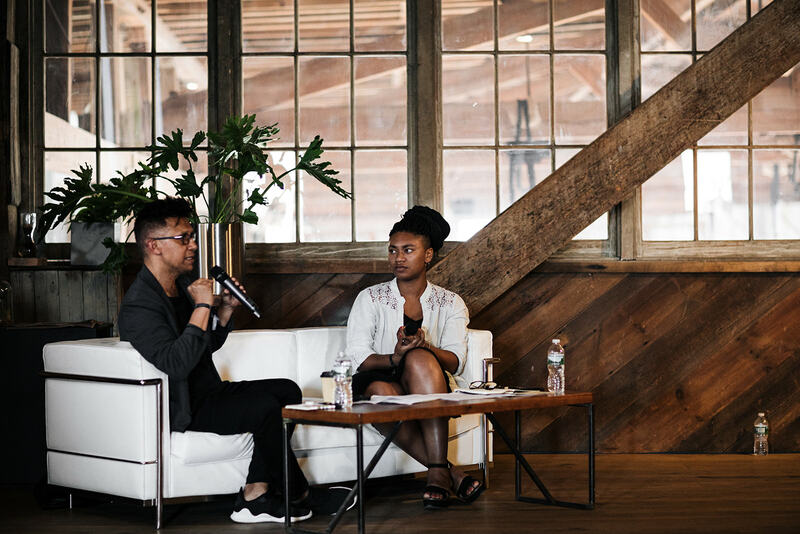 In the context of post-apartheid South Africa, JAY PATHER (choreographer) and OLUREMI C. ONABANJO (curator) discuss the work of memory in the wake of historical trauma, the Truth and Reconciliation Commission and its shortcomings, and the persistent, vulnerable body in the public sphere. Presented in partnership with ICI (Independent Curators International). 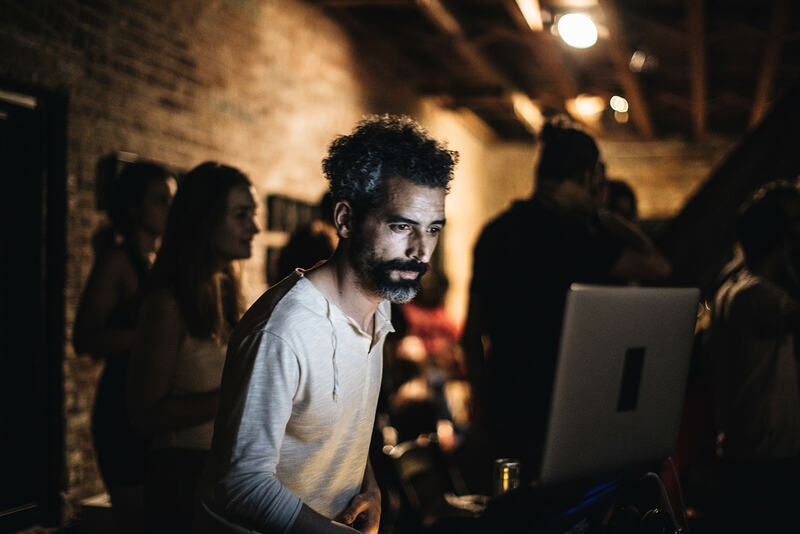 HATIM BELYAMANI (musician and multimedia artist) discusses the reason and process behind remix ←→ culture, a non-profit collective committed to inspiring people to reconfigure their relationships with other cultures. The work, which aims at building an open yet economically responsible ecosystem, is based on recording and filming underrepresented musical traditions from around the world, and making them available for listening, watching, and sampling. In this light, remixing appears as a possible door to the ‘living room’. This panel brings together voices and perspectives that pertain to African women’s liberation and provide a complex vision of ‘African feminism’. Rooted in both recent and past liberatory practices, the speakers present artworks and provocations that resist the legacy of political and legal subjection of African women’s bodies and sexualities. With artist PHOEBE BOSWELL, artist and activist BABIRYE LEILAH and philosopher and art historian NKIRU NZEGWU. Moderated by writer SERUBIRI MOSES. What autonomous thing comes into being when word saunters into image, language being so approximate and superfluous? This is an invocation, an evocative ballad by writer EMMANUEL IDUMA; a travelogue in response to collages by Frida Orupabo, found sound, and images from a range of sources. The address is made to an ‘intimate stranger’, one who traverses a black Atlantic, mindful of Edouard Glissant’s notion that ‘the landscape of your world is the world’s landscape. But its frontier is open’. For a good part of the 1960s and 70s Algiers was, in Amílcar Cabral’s phrase, ‘the Mecca of Revolutionaries’. In 1969, Eldridge and Kathleen Cleaver, seeking refuge from US justice, settled there, joining a cosmopolitan community of liberation movements. ELAINE MOKHTEFI (journalist and writer) helped establish the International Section of the BPP and accompanied the Cleavers on their eventful North African journey. She shares her memories with SOPHIA AZEB (scholar and specialist of black diasporas). 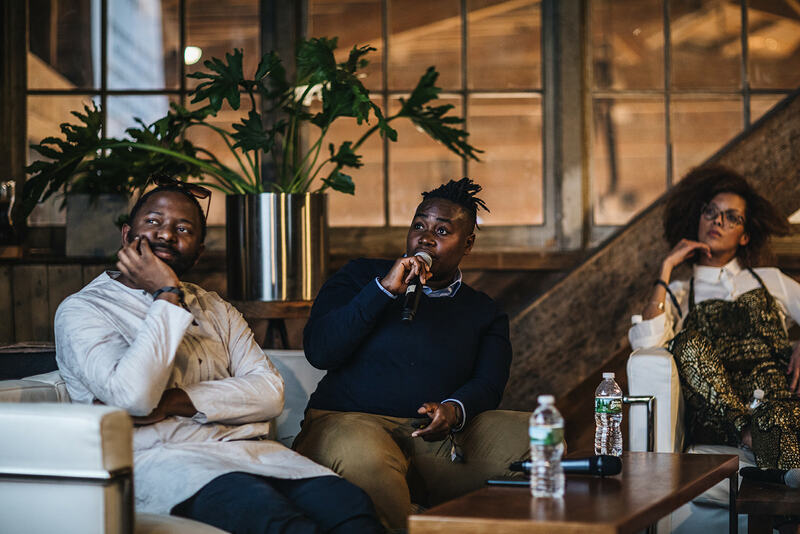 In conversation with NEELIKA JAYAWARDANE (art writer and academic), artists NONTSIKELELO MUTITI and JOIRI MINAYA discuss the significance of cultivating spaces that reconstitute “home”, and the necessity of re-fashioning the (shattered) self through rituals that recreate intimacy. By performing the double task of purging and healing, their work helps us to reconfigure our own emotional landscapes.